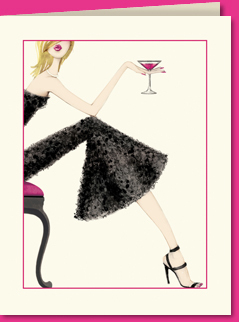 Put some "attitude" in your gratitude with these stylish cards. Perfect for those last minute thank yous and make great hostess gifts, bride-to-be wishing well items or a birthday present for your best girlfriend. This stylish thank you card measures 4 1/4" x 5 1/2", and is printed on luxurious warm white card stock (recycled). Warm white envelopes are included.